Help yourself to a cheeky pint! 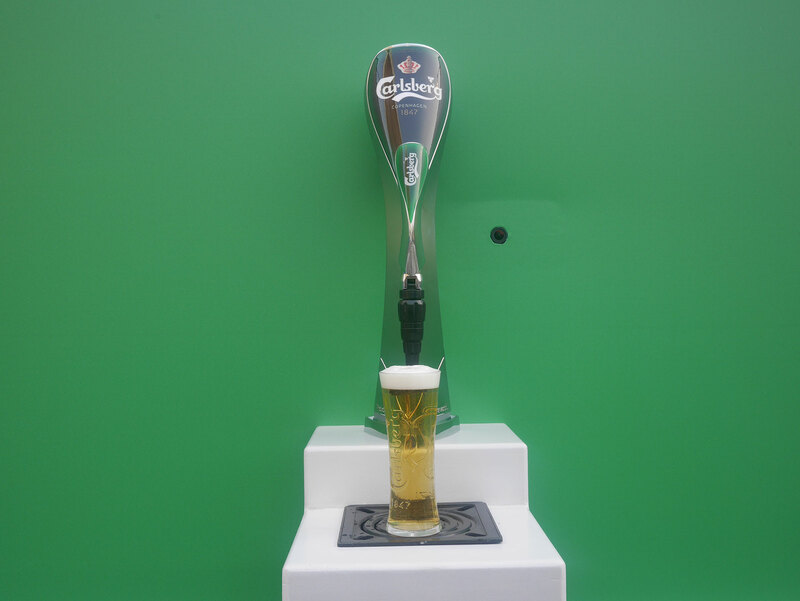 We all thought the Coke Zero drinkable billboard was an ultimate winner, but now Carlsberg is serving some outdoor advertising with an age limit. 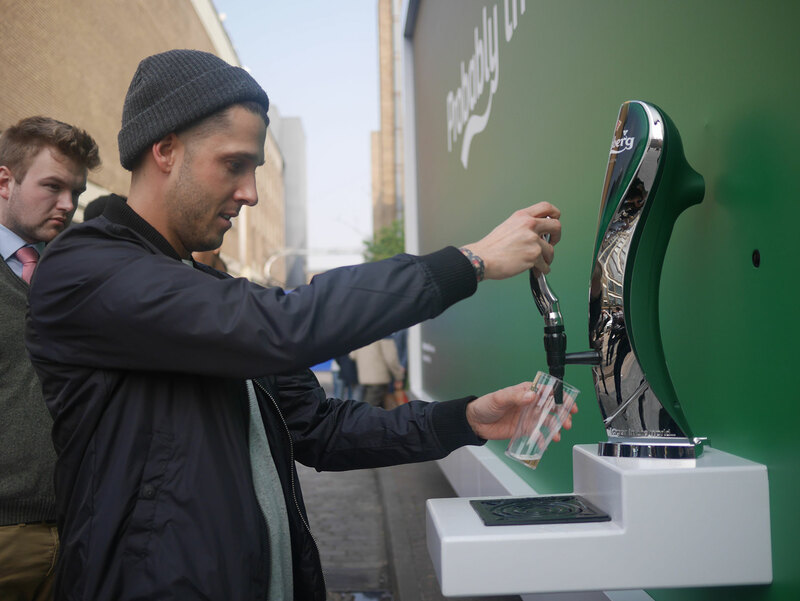 The Danish brewer, with help from an ad agency called Fold7 and design company Mission Media, unveiled a beer-dispensing billboard at The Old Truman Brewery on Brick Lane in London. 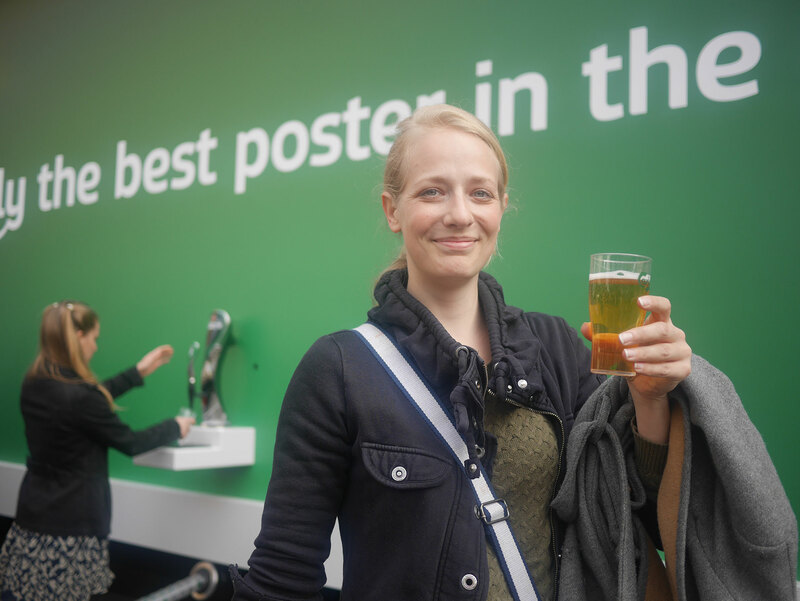 The billboard sported the headline “Probably the best poster in the world”, and fulfilled exactly that notion, as a people poured in from all over the streets to have their pint. The brand was also on hand to monitor the drinkers, making sure no one was under the age of 18. Now this is what I call successful advertising! 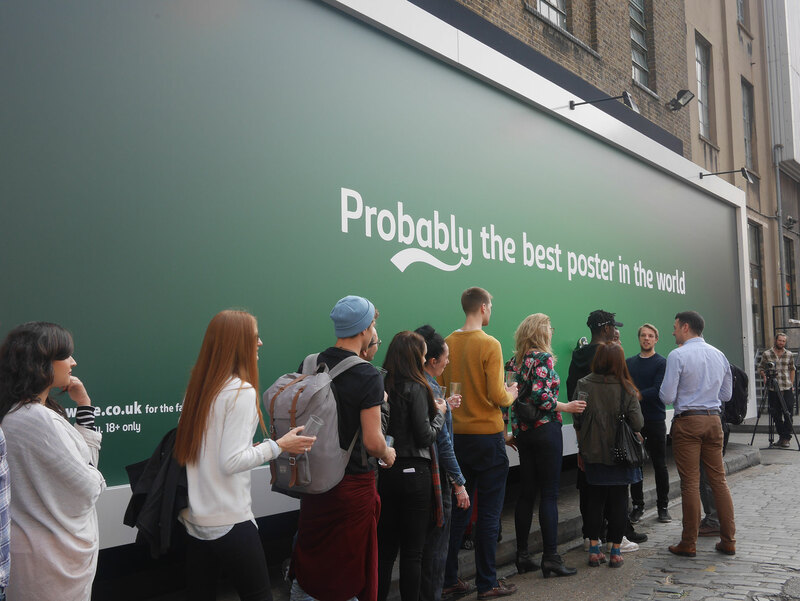 Not only did the brand manage to create a great amount of awareness, but they helped ‘happy hour ‘ spread across the city of London.